My California-based grandsons – Sidharth, 6 plus, and Nikhil, 4 – took me to Color Me Mine, a shop where you colour your own toys. 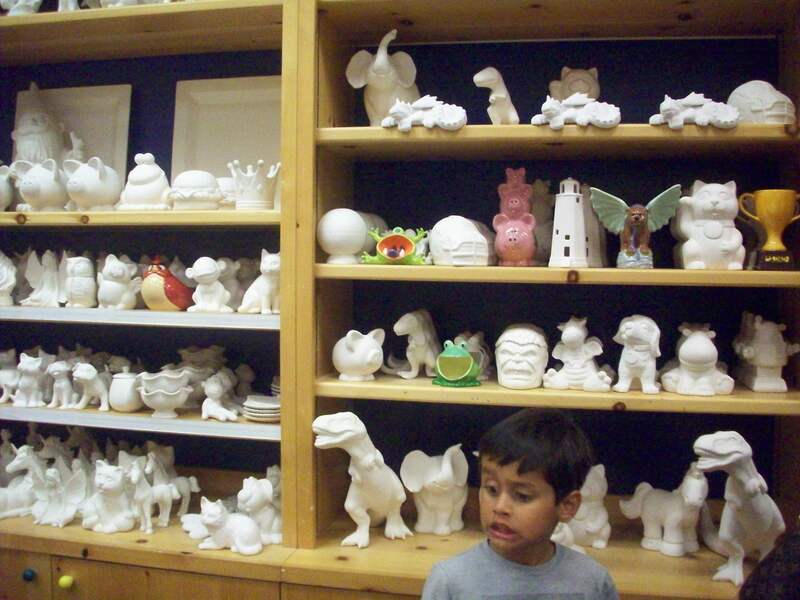 Take a toy off the shelf, paint it the way you please (they give the paints and brush at the shop), and then have them bake and glaze your painted toy to give the finish and shine of a factory-made item. The idea is to let children customise their toys , with the colours they fancy. Nikhil and Sidharth who have done their colouring of toys will have their masterpiece fired in a kiln, glazed, and delivered within a week. 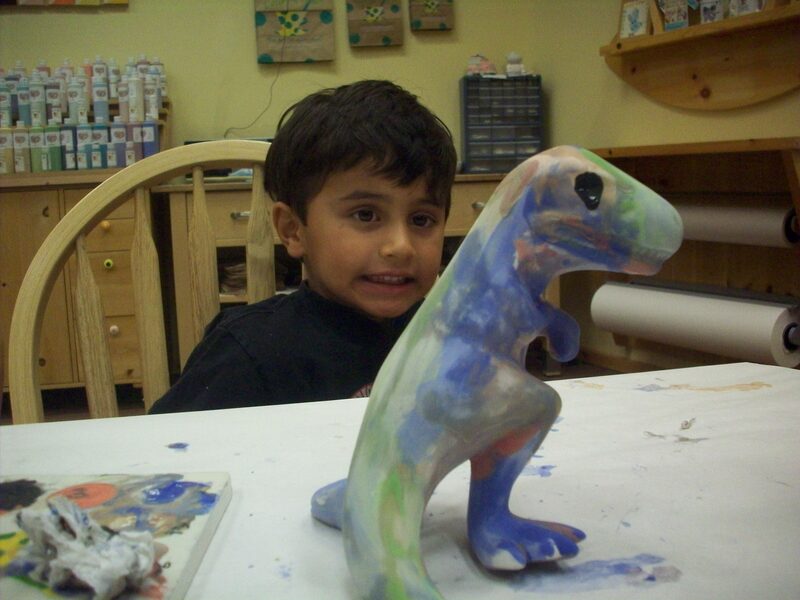 Nikhil picked out for colouring a T-Rex dinasaur, to scare his grandpa . Elder brother opted for a bear with wings, for hit-and-fly attacks on their common target – grandpa. The color-me-mine concept , besides being fun, promotes colour sense and creativity, and helps learning process among children. They get so focused on hands-on paintwork that their mommy could leave Nikhil and Sidharth at Color Me Mine for an hour so so that she could do her shopping elsewhere at Pleasanton Mall. It is an idea that play schools and daycare centre at residential complexes can adopt. At our Chennai apartments complex – Mantri Synergy – with 750 flats there are a number young parents with young children who would welcome a facility that offers hands-on painting opportunity such as the ColorMe Mine initiative. Banks can adopt the business model to attract deposits, notably, through piggybank accounts. Canara Bank used to hand out a pig-shaped cash pots in which children collected small changes. The color-me-mine concept can tried out as a marketing device . Use of earthern toys for piggybanks by banks would boost income of potters and rural artisans, besides engaging children in hands-on design and painting of their toys.